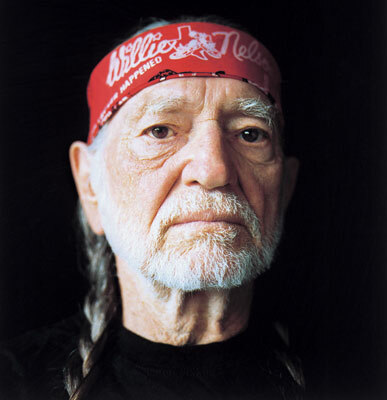 Everyone knows that Willie Nelson is a country music legend who often wears pigtails, always boasts a pot-smoking outlaw image, and, at the ripe old age of 75, continues to constantly tour the world. Lucky for us, that incessant tour schedule includes a stop at the Santa Barbara Bowl this Saturday, September 6. For tickets and concert information, call or visit sbbowl.com. But if you’re looking for something more, here are some things you maybe didn’t know about the hillbilly troubadour. 1) He’s a prolific author: Nelson’s got three books under his belt: Willie: An Autobiography (2000); The Facts of Life and Other Dirty Jokes (2002); and The Tao of Willie: A Guide to the Happiness in Your Heart (2006). 2) He’s a reggae star: Willie’s 2005 album, Countryman, which took 10 years to produce, is one of the best written reggae albums ever, featuring original tunes, covers, and the help of Jamaican legends like singer Toots Hibbert and drummer Santa Davis. 3) He’s an eco-revolutionary: Not only does Nelson’s tour bus (aptly named Honeysuckle Rose IV) run on biodiesel, but he’s also a co-owner of biodiesel plants in Oregon and Texas and sells his own biodiesel at truck stops across the country. 4) He’s a proficient actor: Willie’s starred or made cameos in more than 25 films, including five in 2008 alone. Highlights include his starring role in 1986’s Red Headed Stranger and his stint playing Uncle Jesse in 2005’s Dukes of Hazzard. 5) He’s an ice cream icon: Last year, Willie Nelson’s Country Peach Cobbler ice cream was released by Ben & Jerry’s, with all proceeds benefiting Farm Aid.